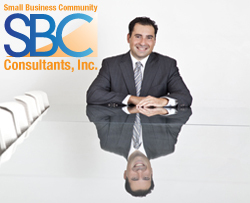 8a certification statistics - SBC Consultants Inc. The limited number of 8(a) Certified firms in the United States gives these firms the unique opportunity to bid on Federal Contract set asides. That means that only 8(a) certified firms are allowed to bid and win these contracts without any outside competition. This number is lowered even more as industry specific bids come in to play. As of 5/20/2014 the SBA Los Angeles District office, which Covers the Counties of Los Angeles, Santa Barbara and Ventura has only 214 approved 8(a) firms in it’s database. An extremely low number when considering that there are thousands of businesses in Los Angeles alone. As of 5/20/2014 the SBA’s Santa Ana District Office which covers Orange, Riverside and San Bernardino Counties only has 140 approved 8(a) firms in it’s database. As of 5/20/2014 the San Diego District Office which covers San Diego County, has only 164 approved 8(a) firms in it’s database. Total Southern California Figures are roughly 518 approved firms. In California, there are a total of 802 certified firms or 11% of all certified firms are represented by California. In the United States, there are only 7,236 certified 8(a) firms. Let’s do some math. If averaged out, each firm would be getting around $2,487,562 in annual contract work. Although this will never happen due to the majority of the firms being inactive in contract participation, it gives you an idea of how powerful having the 8(a) certification can be. *Figures provided by SBA’s Dynamic Small Business Search as of 5/20/2014.